Namaste Technologies: Over Priced, or Par for the Course? Namaste Technologies (CSE: N) like many in the cannabis sector has experienced excellent momentum as of late. It hit new 52 week highs throughout the week, and finally closed at $0.72 at the end of the Friday session. However, whats different about Namaste in comparison to others in the sectors, is its revenues. On a monthly basis, the company has approximately $1,000,000 in revenues. That’s an excellent amount in sales for a company so heavily focused on growth. Although company revenues are enticing, revenues alone do not paint the whole story of a company. It doesn’t take in to consideration the many expenses associated with the sale. Nor does it account for the other activities Namaste Technologies is involved in. Thus an in depth analysis of the company is required. For these reasons and more, Namaste Technologies is the focus of our full analysis this week. As always, we’ll take a look at all aspects of this stock, starting from the beginning. So buckle up, and join us for the ride. Like many organizations in the sector, Namaste Technologies started out as a resource company. Originally established in the mid 2000’s, Namaste went through several renditions of exploration companies. It repeatedly changed its focus mineral, and could never quite get it right. Prior to having its name changed to Namaste Technologies, the organization was named Next Gen Metal Inc. For all intents and purposes, this is where out story begins. Our story begins on February 26, 2014: the date that it was announced that Next Gen Metals Inc would be diversifying itself into the medical marijuana and industrial hemp industry. At the outset, the companies intent was to act as a capital pool as well as a company incubator. Namaste Technologies February 26, 2014 news release announcing their entrance to the cannabis sector. Under this methodology, Namaste Technologies would provide management and capital expertise, in exchange for equity in the company or royalties on sales. Upon these organizations growing to a point where they no longer need to be incubated, they would be spun off as a value-added feature to investors. The first announcement of progress on this revamped business plan came on March 13, when they issued a corporate update. Within the update, they indicated that they were currently reviewing approximately 45 business plans that had been submitted to them over the previous two weeks. On March 21, it was announced that Next Gen had signed its first agreement. Under its revised business plan, GreenRush Financial Conferences was the first company to be incubated. The purpose of the organization was to provide financial conferences for that of the legal cannabis industry. The aim of it was similar to that of Namaste, in that it would assist in providing funding for companies in the sector. To start, the company focused on hosting two investing conferences. The first was to be in Vancouver, while the second would be in Toronto. The intended goal of these conferences was to bring in new investors to the sector, and assist with raising awareness related to the industry as a whole. To assist with funding the purchase, a private placement was announced the following day for a total sum of $2,750,000. The funding was to be allocated for conference funding as well as for future acquisitions to be made by the company. Reacting to this, the market sold the stock off, and Namaste has still not recovered to this price point once the stock price has been adjusted for splits. As a result of this sell off, on April 1, 2014, Namaste had to embarrassingly decrease the price point of the financing, as well as the total value to that of $2,250,000. Finally, on April 8 the company had to withdraw the placement entirely, claiming it had sufficient working capital. The first conference the company was hosting was scheduled for May 7, 2014. It was hosted in Vancouver, at the Vancouver Convention Centre. 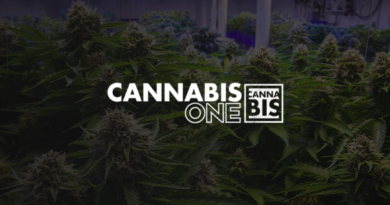 Overall, it had some excellent exhibitors, several of which are significant names in the industry still, such as Bruce Linton of Canopy Growth Corp. Here’s the full list of speakers and exhibitors for the first conference put on by Namaste. 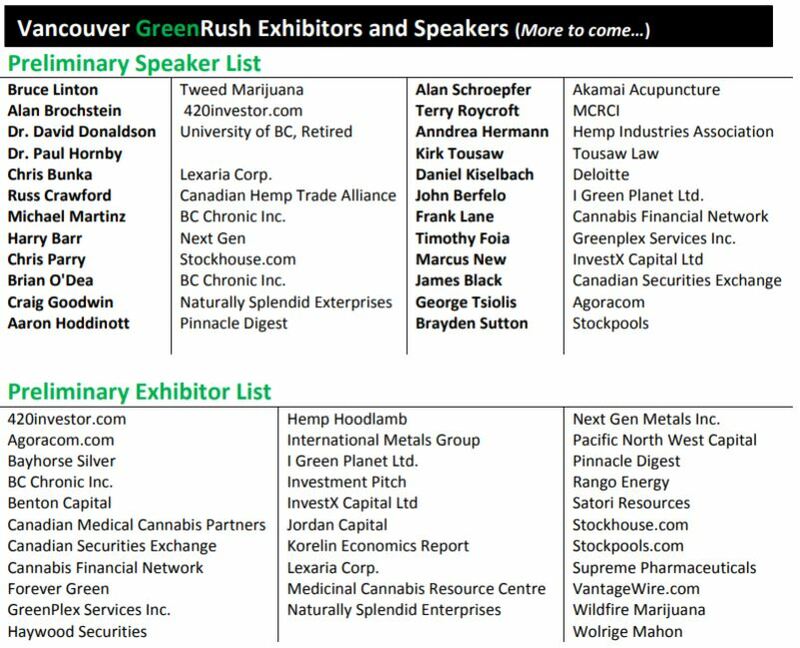 The exhibitor list for GreenRush’s first conference held in Vancouver. Exhibitors had a broad range, from media organizations to that of capital investment firms. Several of these names should be recognizable as they have grown in to large entities in the sector. On May 26, it was announced that the conference had beaten expectations. Over 1,200 attendees were present at the conference, along with over 35 exhibitors. In addition to this, the media coverage was fantastic for the industry. The conference on June 26 in Toronto had nearly identical figures. The third conference to be put on by Next Gen / GreenRush was announced on July 15, 2014. It was slated to take place at the end of September. However, on September 5, the company postponed the event, stating exhibitors and attendees were repeatedly requesting a two day format. As a result of this, two weeks before the event it was postponed indefinitely. No third event ever took place. The day before the company hosted its first conference, they released significant news. 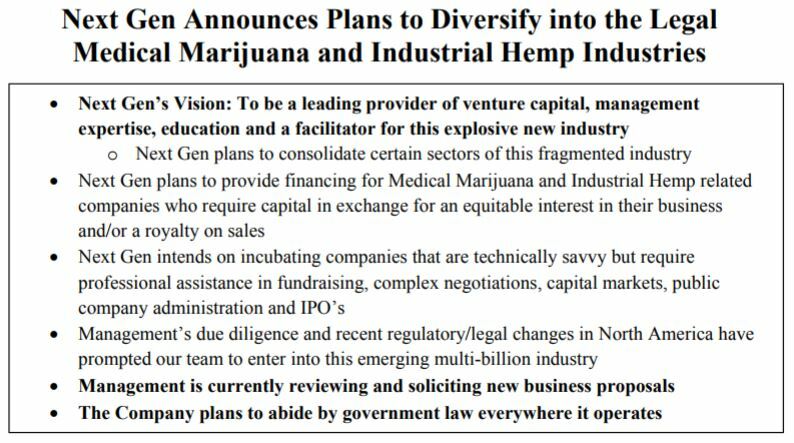 On May 6 it was announced Next Gen had formed a new subsidiary, which focused on the testing of legal cannabis. This was to be marketed to the legal cannabis sector across the continent. The argument the company provided for the move, was that it can utilize the subsidiary to push its other services. By having a direct line to these new organizations, they can suggest their financial services or management abilities to these inexperienced organizations. Additionally, this testing was now required by law for each batch of product created. This in turn was an excellent opportunity to capitalize on new regulations within the industry. In a corporate update dated October 22, it was noted that as of yet nothing had been exstensively completed to establish the subsidiary. They had utilized a consultant to find a location, but as of yet still had not found anything suitable. Instead of trying to go through the application process for an analytical lab, they were now looking to simply acquire one. Finally, In the MD&A for the quarter ended June 15, 2015, it was stated that the company was no longer pursuing this opportunity. Not to be outdone by their own announcement the day before the first conference, three days before their second conference Next Gen had an additional announcement. On June 23, 2014, it was announced that the company had formed a new business unit, named GreenRush Business Brokerage. The operating function was similar to that of Next Gen itself, whereby it would assist in financing new businesses. However, it was focused primarily on business to business transactions. This included the sale of one business to another within the sector, as well as supplying venture capitalist monies for such acquisitions. It would also provide consulting as well as marketing and analytical functions to its clients. 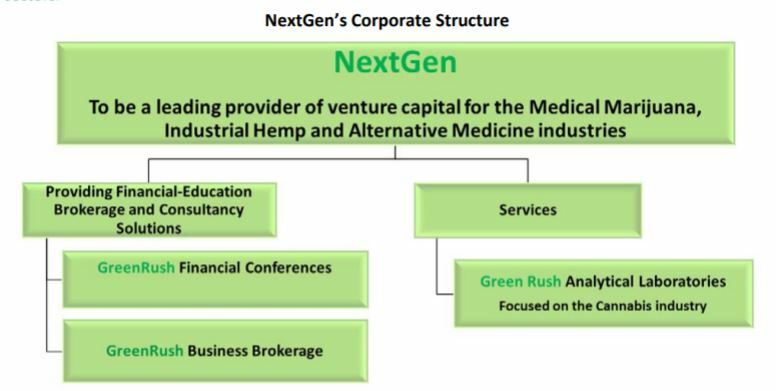 Due to the nature of the increasingly complex business structure of Next Gen, the company provided the following diagram in the press release dated June 23, 2014. Namaste Technologies business structure as of June 23, 2014. It is unclear what value this business unit ultimately provided to the organization. It was never explicitly stated that it had served its purpose in the sector. The final form of Namaste Technologies began to take shape on September 24, 2015. On this date, Next Gen Metals announced that it had entered a binding letter of intent with that of Dollinger Enterprises Ltd. Dollinger, further referred to as its trade name of NamasteVapes, is focused on the distribution and manufacture of vaporizers and their related accessories. The company to be acquired from Dollinger, which itself acts as an incubator for new business ventures, was under a year old. However, in that time frame it had established itself in twenty five countries, and had seen revenues of approximately $3.3 million. Furthermore, it also managed to post a profit within this time frame of an estimated $180,000. At the time of the letter of intent, NamasteVapes was heavily focused on growth, with a focus on the production of the products in which it sold. Under the terms of the agreement, Next Gen was to perform a share consolidation at a rate of one share for every three. After this, it was to issue approximately 36,000,000 shares in exchange for NamasteVapes. In addition to this, a further eight million shares are to be paid out over a three year term based on the performance of NamasteVapes. Finally, all stock options currently existing for Next Gen were to be cancelled and reallocated within thirty days. On November 3, the binding letter of intent was changed to that of a business combination agreement. Further to the details provided above, NamasteVapes would be combined under the GreenRush Analytical Laboratories subsidiary, along with that of Dollinger Enterprises USA. The unit would then be rebranded as Namaste Technologies Holdings Inc. with the corporate name changing to that of Namaste Technologies. Finally, the deal was subject to a private placement being subscribed to for a minimum of $500,000. Lastly, the new management of the company would largely be made up of members from Dollinger Enterprises. This included the CEO, who would be replaced by Sean Dollinger. Harry Barry, the CEO of Next Gen Metals prior to the deal being executed, would remain as the Chairman of the Board. On December 16, 2015, it was announced that on the previous day the deal had been extended. Originally slated to close on the fifteenth of December, the deal had now been extended to February 15, 2016. This was likely the result of a poor investor turn out for the private placement. A second concurrent private placement was announced at the time of the extension, with a more attractive price point for investors. Both financings closed on January 6, 2016. Finally, on February 17, 2016 the company issued an update on the agreement. It had changed its corporate name to that of Namaste Technologies, and the consolidation of shares had taken place. Additionally, the Canadian Securities Exchange had approved the transaction. However, certain actions required for the transaction had not been fully completed. The final deadline was pushed to that of March 14. Finally, on the third attempt, the transaction went through in its entirety. No news release was issued regarding this event. Shortly after the transaction was completed, it was apparent that the new CEO meant business. Less than a month after the new company had been formed, all current directors that came from Next Gen Metals had resigned. It is assumed based on the news release, that this was not a choice given to them. Simultaneously, new directors had been appointed in their place. Further to this, a slew of news releases followed. On April 14, it was announced that a popular e-commerce platform had entered into a binding letter of intent with Namaste Technologies. Under the terms, Namaste would acquire certain assets of the company related to VaporSeller. VaporSeller at the time was one of the largest e-commerce platforms for the purchase of vaporizers and related accessories in the United States. In the previous year, the company had generated approximately $3.4 million in revenues. This effectively doubled the revenues of Namaste Technologies on a yearly basis. Furthermore, it also provided the organization an entrance to the United States market, which is significant in size. In exchange for the assets of VaporSeller, Namaste would provide both cash and common stock. $500,000 was to be issued immediately, in addition to 5,000,000 shares of the company. Also attached to the deal is approximately $1,500,000 in cash payments that will be paid out over three years dependent on certain targets being met. Finally, during this earn out period there would be an $89,000 yearly management contract. On July 18, 2016, the acquisition was completed. On January 16, 2017, it was announced that the earn out payment associated with the acquisition and been settled early at a total price of $581,000. Continuing its trend of acquisitions, on September 15, 2016, it was announced that Namaste Technologies had signed a definitive agreement to purchase URT1 Limited. URT1 is one of the top five e-commerce platforms in the world, with specific websites for both North America and the United Kingdom. Subsequently, with this purchase it place Namaste Technologies as the largest business to consumer vaporizer distributor in the world. URT1 currently has sales of approximately $3.2 million on a yearly basis, while maintaining a 53% profit margin on these sales. In total, at the time of this deal, it was estimated that Namaste’s yearly annual revenue would be approximately $10 million for the 2016 fiscal year. The acquisition closed on October 18, 2016. Total shares issued totaled 13,771,993 to the shareholders of URT1. In addition to this, there was a cash consideration of $170,422 to cover wind down costs associated with the transaction. It was announced October 4, 2016, that Namaste had entered two new partnerships. The first of which was Sneaky Pete, a popular online vaporizer reviewer. Under the terms of the agreement, Sneaky Pete would serve as an affiliate to Namaste Technologies through there own online store. All products would be drop shipped directly from Namaste warehouses, with Namaste also being responsible for all credit card processing. Sneaky Pete would then be paid based on sales generated. With regards to VaporTownUSA, Namaste will be managing several aspects of the business. They will be responsible for sales, logisitics, and customer service. In return, profits will be split equally through both entities. The benefit to Namaste is that they will increase VaporTownUsa’s product offerings through their own lines of product. As a result of several states in the United States voting on the legalization of marijuana in November of 2016, Namaste expanded its product offerings. It was revealed that agreements had been signed with Gorilla Grow Tent Inc., Superclosets Inc., and Kind LED Grow Lights. The product offerings are related to that of the home-based growth of cannabis. The products will be available for sale in Canada and the U.S., and expansion to other markets is anticipated. On February 21, 2017, a significant news release was issued. Namaste Technologies had signed a memorandum of understanding with that of Canopy Growth Corp, a goliath when it comes to licensed producers. Under the agreement, the two would work together to explore new methods for the consumption of cannabis. Additionally, Namaste would assist Canopy Growth with creating its own branded line of vaporizers and related accessories. On April 20, 2017 the memorandum of understanding was upgraded to a services agreement. Evidently, Namaste Technologies was still not satisfied with their global reach when it comes to vaporizers and their related accessories. This is evidence by the definitive agreement issued on February 24, 2017 regarding the purchase of Australian Vaporizers. Through this acquisition, Namaste captures the majority of the market share of vaporizer sales in the Australian market. Australian Vaporizers is the premiere vaporizer vendor in Australia, having over eighty percent of the market share at the time of the acquisition. In the previous year, it generated approximately $4.3 million in revenues, at a profit margin of 45%. This in turn resulted in profits of approximately $1.1 million. With this purchase Namaste will have yearly earnings of approximately $18 million. Under the terms of the agreement between Australian Vaporizers and Namaste Technologies, Namaste will pay approximately $5.5 million for the acquisition. The calculation for this figure is based on the previous years revenues, in addition to current inventory levels of the company. Seventy five percent of this sum will be paid in cash, with ten percent being paid in shares. The remaining fifteen percent will be allocated based on the performance of the company over the next several years. The acquisition closed on March 16, 2017. The total cash consideration totaled $4,256,197.50, with the total common stock portion equaling 1,988,182. On March 21, 2017 Namaste Technologies made a slightly pivotal move. It entered into a letter of intent to acquire CannMart, a late stage applicant under Canada’s ACMPR system. By entering this letter of intent, it signaled that the company is looking to expand its current market offerings to include that of cannabis products. CannMart currently has an application to obtain a sales only license for the sale of medical cannabis within Canada. As per the news release, the facility is currently in the review stage of its application. The facility it owns is a 4,000 square foot warehouse located in Etobicoke, Ontario. The license it has applied for will allow it to purchase product from licensed producers and sell it directly to medical cannabis patients. Upon the signing of the letter of intent, Namaste Technologies gave CannMart $50,000 in cash for the agreement. This will be non-refundable should due diligence not be completed within thirty days. It was announced April 24 that a definitive agreement had been signed. At a valuation of $3.55M, CannMart shareholders would be issued common stock. $2,500,000 worth of stock would be issued on closing, while $1,500,000 worth would be contingent on milestones being met. Under the terms of the acquisition, each share would be valued at a price of $0.2884. The deal closed on May 3, 2017. Further to this, on November 20, 2017 it was announced that a product acquisition agreement had been signed with Aphria Inc, a major licensed producer. After taking a brief hiatus from expanding its vaporizer business through acquisitions, Namaste returned to this business process in November. On November 2, it was announced that a joint venture had been established with Israel based Vaporiza. Under the terms of the agreement, Vaporiza and NamasteVapes Israel will come together and be managed entirely by Namaste. In turn, Vaporiza will provide order fulfillment as well as that of sales and customer service support. The remainder of the operation will be taken care of by Namaste Technologies. 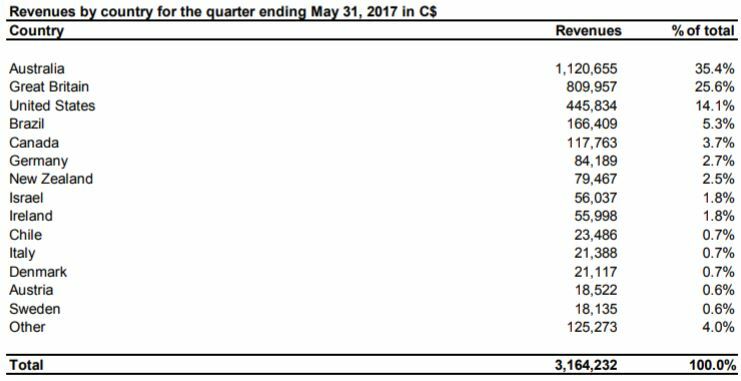 The latest financials filed by Namaste Technologies are for the quarter ended May 31, 2017. As a result of this, many of the figures are since out dated. With the next financial filing by Namaste Technologies not due until December 29, as a result of their fiscal year end being in August, bear with us. 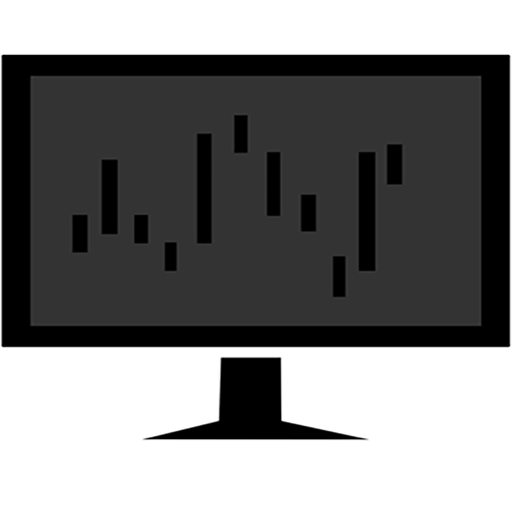 In addition to the interim financial reports, we will also be utilizing the monthly sales reports that have been provided. This will allow us to understand where the organization is at better than if we had just used the latest financial filings. For the last reporting period, the company generated $3.1 million in revenues, with cost of goods coming in at $2.6 million. This gave the company a total gross profit of just over $500,000, along with a weak 16.81% gross margin. In addition to these small earnings, the company registered just under $5 million in operating expenses in relation to these sales. Amongst these high expenses, were a couple one-time expenses. First and foremost is that of the share-based compensation. Although it seems quite high in the report, this compensation is a result of the amalgamation of the company that occurred in February. As such, expenses related to the business transaction are evident through out the report. The high consulting fees within this quarter are also a result of this transaction. Also of note, is that the acquisition of CannMart as well as Australian Vaporizers is included in this report, which is a further driver of consulting fees as well as share-based payments. Release of the next set of financial reports is crucial for a true analysis on Namaste Technologies current operating expenses. However, due to the next filings being that of the annual financial reports, it will still be difficult to decipher what a typical quarter will look like on a going forward basis. Lastly, one very beneficial item that was supplied by Namaste Technologies is the following chart, which displays revenue on a per country basis. The heavy emphasis on Australia would be a result of its latest acquisition of Australian Vaporizers. Namaste Technologies revenue by country for period ended May 31, 2017. After the release of the interim financials for the third quarter, Namaste started a new process. They began to issue monthly sales figures on a semi-routine basis. Although it is believed that this was partially done as a way to indicate their sales were up large percentages year over year, the information provided is still useful. 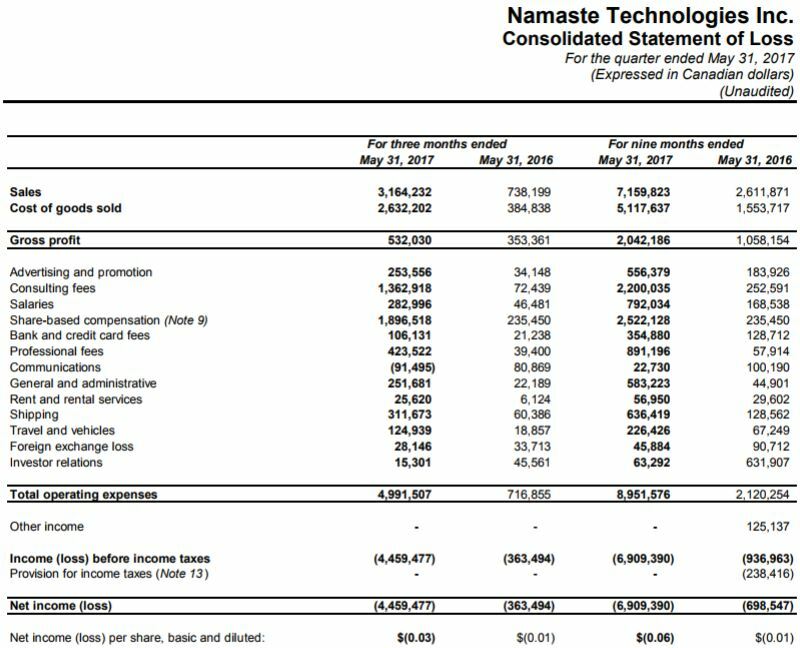 Based on these reports, we were able to create an estimate for Namaste Technologies fourth quarter earnings. The data was compiled via news releases dated July 10, 2017 and August 15, 2017. Please note that as indicated in the chart, no sales data was provided for the month of August. To estimate the values for the month, we simply averaged the figures for the previous two months. Although trendlines could have been created to depict the figures for August, we opted to not take this method. Trendlines for a two month period can not take in to effect cyclical trends for sales. As a result of this chart, it is estimated that total revenues for the quarter ended August 31, 2017 will be approximately $3.3 million. This figure is in line with that of previous quarterly earnings, and adds some growth to the previous quarters figures. As its stands, the quality of Namaste Technologies share structure is continuously depleting. Over the past several months, it has continued to repeatedly dilute its common stock. Although this may be due to acquisitions and growth of the company, it places a hindrance on value gain for shareholders. Estimated fully diluted share count of Namaste Technologies as of November 25, 2017. The latest estimate for a fully diluted share count is approximately 273 million shares. Of course, options and warrants may not be exercised before their expiry. However, this is unlikely as a result of Namaste’s closing price of $0.72 at the end of the Friday session. With an average exercise price of $0.31 for all warrants, and $0.26 for all options its likely these will be exercised shortly. Also, investors need to be aware that the company can force the exercise of warrants from the latest round of financing should the share price close above $0.70 for ten consecutive days. Friday marks day one of this count. The same rules apply for the placement closed on March 9, 2017. If this force exercise occurs, approximately 37.1 million shares will be added to the outstanding count. However, it will also flood the companies coffers with more cash – up to $12,976,600 depending on how many of the earlier warrants have already been exercised. The increasing dilution has severely limited the upward momentum that Namaste Technologies can potentially experience. Over the last several days, it has certainly experienced new highs repeatedly. In fact, it closed a penny below the fifty two week high on Friday, after setting that high in morning trading. However, lets not forget the fact that we are currently at the high point of a “green rush” in the Canadian cannabis sector. With respect to fair valuation of the company, the easiest method to determine this is using the baseline that Namaste Technologies has set within its own acquisitions. When acquiring a competitor in the vaping industry, it typically goes with a 1x multiple of the twelve month trailing revenues. If we were to apply that methodology to Namaste Technologies itself, that would bring it to approximately $13,000,000 as a fair evaluation for it’s vaporizer assets. It could be argued however, that as a result of all these smaller assets coming under one roof they are inherently worth more. This is due to the company itself having such a significant market share of the global sale of vaporizers. If we bumped that multiple up to 3x twelve month trailing revenues, we would land at $39,000,000. In addition to this, we need to factor in the valuation of CannMart, it’s ACMPR applicant for a sales only license. Based on the fact that no material change has occurred for this asset as of yet, i.e. no license has yet been acquired, its safe to assume its worth the same $3.6M that Namaste paid for it. This places the inherent value of Namaste Technologies in the $16,600,000 to $42,600,000 range. Keep in mind that this is using Namaste Technologies’ own valuation method. As of Friday’s market close, the market cap of Namaste was $144,000,000. Mr. Sean Dollinger has been the CEO of Namaste Technologies since that of the three cornered business amalgamation. He is the owner of Dollinger Enterprises, whom Next Gen Metals purchased the assets of NamasteVapes from. He also serves as as a director for the organization. His specialty is that of entrepreneurship, with a track record to prove it. At the time of writing, it is estimated that Mr. Dollinger holds 15.5M shares in the company, or approximately 7.5%. Additionally, Sean has 5M options in the company. Practicing in the area of law focused on corporate commercial and securities, Mr. Peter Simeon is a valuable asset to that of Namaste Technologies. One of his main areas of experience happens to be mergers and acquisitions, which Namaste is well known for. Additionally, he has experienced in other aspects of public companies, including financings and private placements. Mr. Simeon is responsible for approximately 400,000 company shares. Keeping in line with the Dollinger name, Sefi is also an experienced entrepreneur. His specialty pertains to that of sales. He is also an expert at business development – a valuable asset for an organization in the heart of its growth stage. Sefi is in control of approximately 1.1 million shares of Namaste Technologies. Serving the company from overseas in the United Kingdom, Mr. Berg acts as the chief financial officer for the company. His background lies in that of investment analysis, having worked for Goldman Sachs for a number of years. With respect to this, he has experience on both the buy side of the equation as well as that of the sell side, thus giving him well rounded knowledge on how the market works. He previously served as the CFO of Golden Leaf Holdings (CSE: GLH), and most recently as the CFO at URT1. Mr. Berg came to the company through the acquisition of URT1 Limited. Mr. Sidhu brings experience to the company in the form of capital market experience. He has specializes in that of technology and cannabis, two sectors of which Namaste Technologies is involved in. In addition to this, he is quite experienced in the area of acquisitions and mergers and thus serves as a valuable asset to the team. Although we took a very deep dive into that of Namaste Technologies, we didn’t address all items. For instance, over the last year the company has signed a number of distribution agreements. We chose to skip over these items in our analysis due to constraints on the article. We felt it was not pertinent information needed for the analysis of the company. Although it is important to expand product offerings to that of the consumer, shareholders don’t necessarily need to know every time a new product is introduced by the company. Namaste Technologies certainly has a lot on the go at this point in time – this was our most time consuming analysis to date. It has expanded its vaporizer business unit to all corners of the globe, and has significant sales in numerous countries. This in turn has lead to impressive year over year growth figures, some of which are over four figures. If the company chooses to continue its focus on growth, it will eventually discover profitability as economies of scale continue to become more favourable. 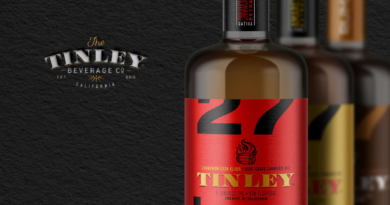 In addition to this, the focus of manufacturing and distributing its own in-house line of products has the lure of improved margin on each sale. This is excellent news for shareholders. However that being said, the issue of dilution needs to be addressed. Although dilution has occurred largely as a result of its focus on growth, it’s outstanding shares figure is quickly becoming too large. Investors seemingly forget that with each raise and issuance of shares their portion of the company shrinks. You may hold the same number of shares, but it is still a smaller percentage of the organization. This increasing dilution will also impact its future acquisition options. Lastly, the company is making excellent headway with respect to the cannabis sector. Aside from securing multiple sources of product to use for resale, it has signed several agreements. Agreements with major sector players such as Canopy Growth and Aurora Cannabis for product distribution of vaporizers is significant, and will play a major role in revenues going forward. It also boosts the value of the Namaste Technologies brand as a result of these working arrangements. This will be a company to watch in the months ahead. As for the true value of the company, investors will have to determine that on an individual basis. Read all the reports. Determine the data’s significance. Dive Deep. Information for this analysis was found via Sedar, Canadian Insider, LinkedIn, Bloomberg, and Namaste Technologies. The author has no securities or affiliations related to this organization. Not a recommendation to buy or sell. Always do additional research and consult a professional before purchasing a security.